The Flagstaff Police Department Criminal Investigations Unit is asking for the community’s help in locating 30-year-old Ricky McEntee. McEntee was last seen in the downtown Flagstaff area on Friday at approximately 8 a.m. 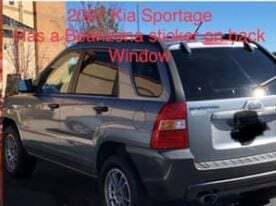 He is believed to be traveling in a blue colored Kia Sportage bearing Arizona license plate CLE6821. If you have any information as to the whereabouts of McEntee, please contact Flagstaff Police at (928) 774-1414 or Detective Rucker at (928) 679-4099.